After the usual intense discussions and debates, we announced our three finalists for the Green Car Reports Best Car To Buy 2018 award earlier this week. The Tesla Model 3 was not among them, because we have to drive a car in order to evaluate it as a finalist—and Tesla declined to provide us with a car to test. The company's more affordable electric car may make it next year as a finalist, but several other new vehicles didn't make the cut either. As a reminder, to qualify for consideration in a given year, a vehicle must be all-new or quite substantially updated from its previous model year. At least two of our editors must have driven it, and it must be available for purchase by next April. With that in mind, here's our rundown of the vehicles that failed to make it to finalist status, and why. 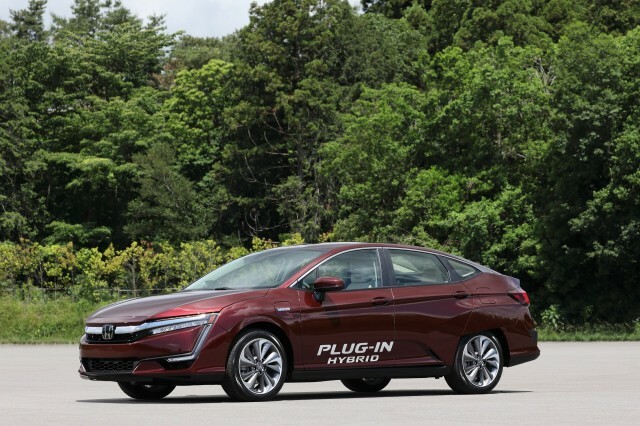 The Honda Clarity mid-size sedan, like our finalist the Hyundai Ioniq range, will be offered with a choice of three different green powertrains. The first to launch, for 2017, was the Clarity Fuel Cell, powered by hydrogen. It was the first of the three most recent hydrogen vehicles offered in the U.S. that we felt was an acceptable and competitive car for daily use (if you live in California near hydrogen fueling stations, that is). Then came with the Clarity Electric, with an EPA-rated 89 miles of range. By far the best-selling version of the Clarity, however, will be the plug-in hybrid model that's expected to arrive late this year or early in 2018. The Clarity didn't make it to finalist status for several reasons: We've only driven a pre-production version of the prototype, and only on a test track in Japan. 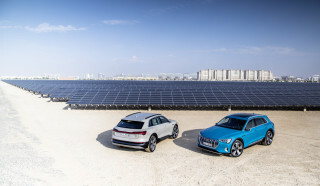 Also, the Fuel Cell and Electric versions are both low-volume cars sold in limited states. Finally, the electric Honda Clarity didn't make our minimum range this year of around 125 miles for battery-electric vehicles. 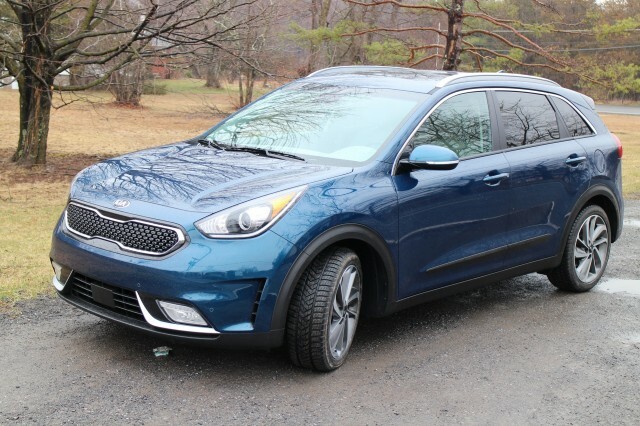 We liked the Kia Niro hybrid when we drove it last December; it's a good-looking small hybrid wagon and seems to deliver 40 to 45 mpg in regular mixed usage. Unfortunately, the plug-in hybrid version of the Niro hasn't yet been launched; it too should arrive late this year or early next year, even though some specifications have been released. And for 2018, we tightened our standards to require that any "green car" that makes it as a finalist for the award must offer at least one version with a plug. That means that the Niro Plug-In gets pushed into the list of possible contenders for next year's award too. 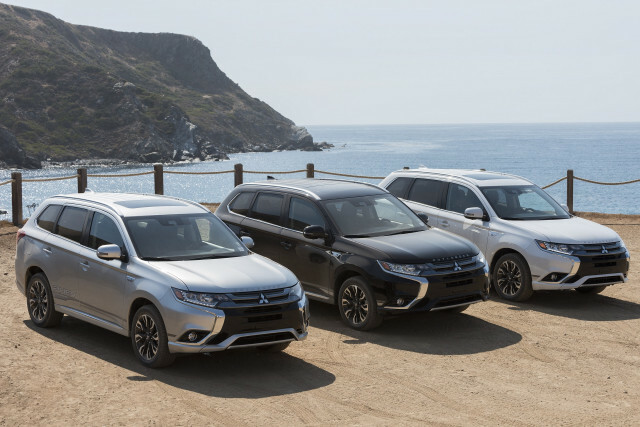 The plug-in hybrid Outlander is finally approaching dealerships in North America, fully four years after it was first planned to go on sale in the U.S. 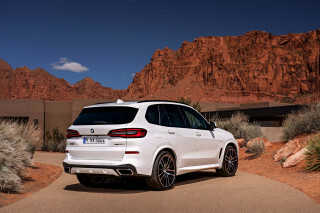 It's been hugely popular in Europe, and more than 100,000 have been sold globally. Better yet, it's going on sale early next year with a very competitive starting price in the mid-30s. Regrettably, we won't have had two of our full-time editors drive it by the time we make our decision next month—so it, too, gets pushed into next year's list. 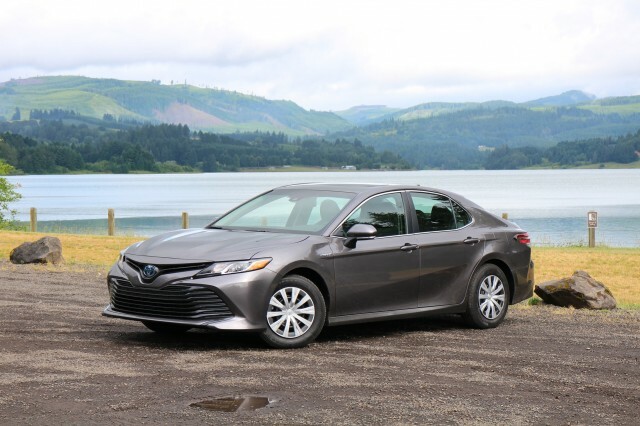 Another important new green car for 2018 is the hybrid version of the new 2018 Toyota Camry mid-size sedan, with new underpinnings, more "passionate" styling, and higher EPA ratings. But it too does not offer a plug-in version; that role in Toyota's lineup is restricted to the Prius Prime, which was a finalist last year but lost to the 2017 Chevrolet Bolt EV electric car. 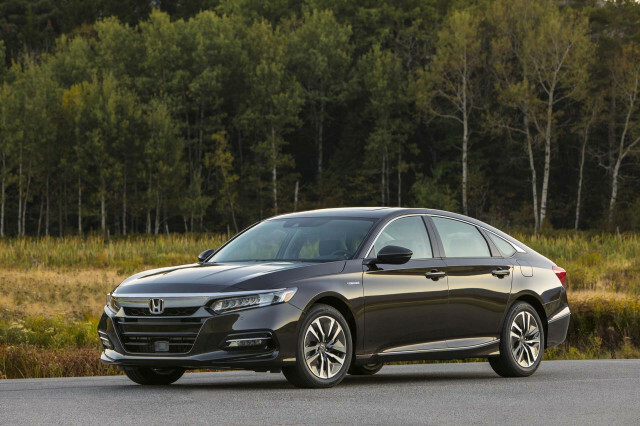 The same could be said, incidentally, of the new 2018 Honda Accord, which will have a hybrid version but no plug-in hybrid. The Clarity Plug-In will fill that role.